Send a romantic message through playful street art. This slightly grungy graphic has a rough charm, and it's a welcome alternative to more traditional Valentine's Day cards. 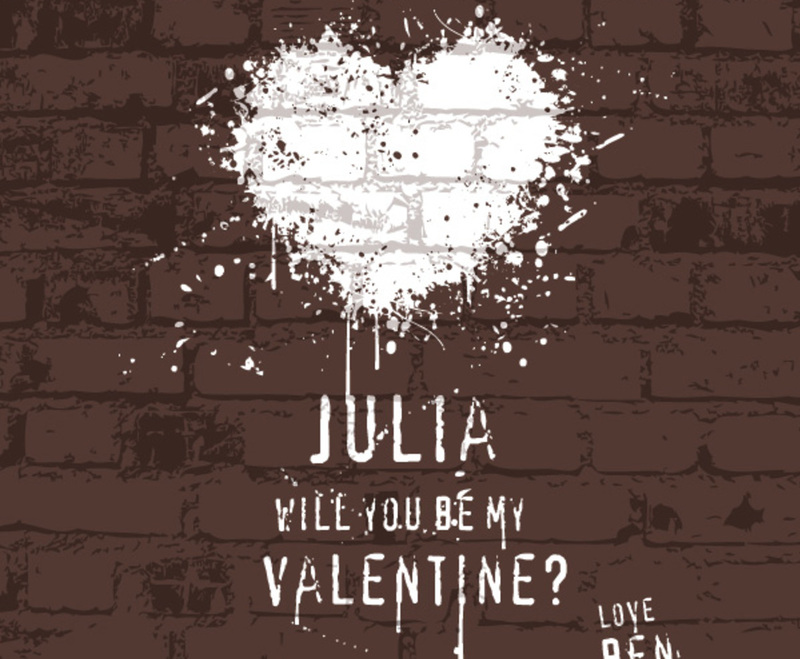 A splatter of white paint stains a textured brown wall above the words "Julia, will you be my valentine?" and "love, Ben," presented in a simple stenciled graffiti. The scattered paint and the realistic look of the brick emphasize the cool, rough style; this graphic avoids the sappy approach of many Valentine's Day messages, but it still manages to deliver a loving message. Edit the names or replace the message entirely for a personal touch.